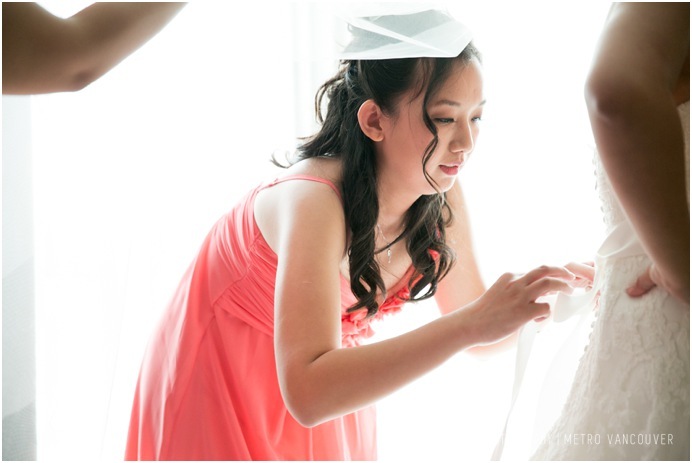 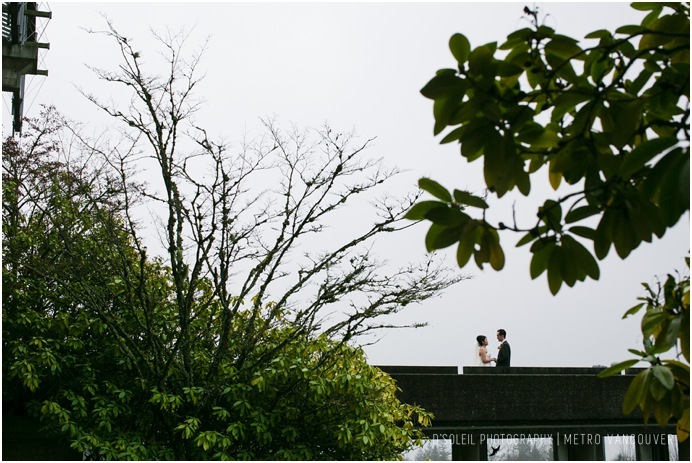 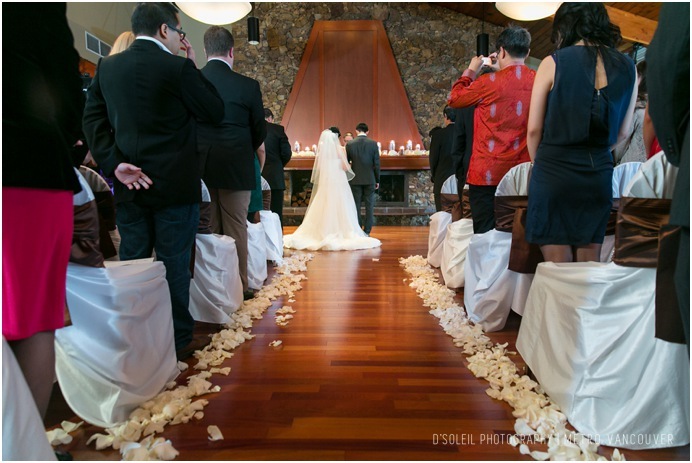 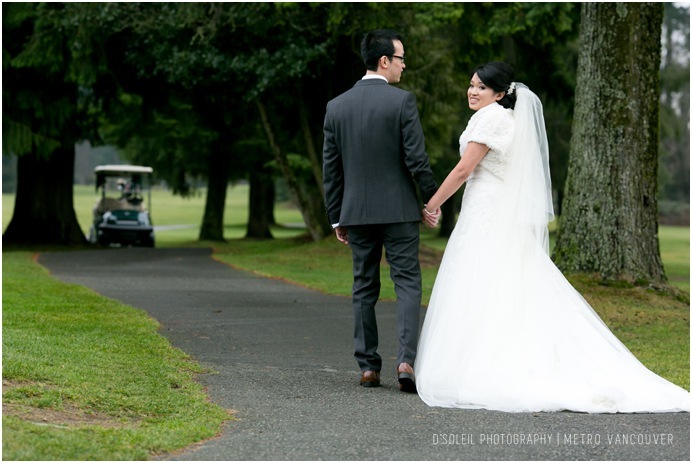 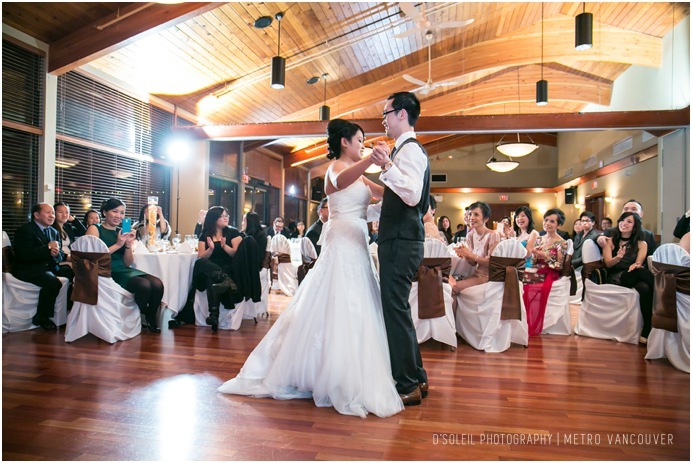 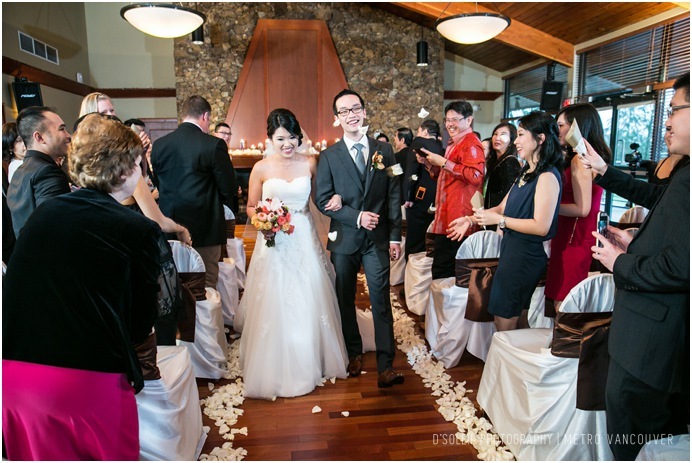 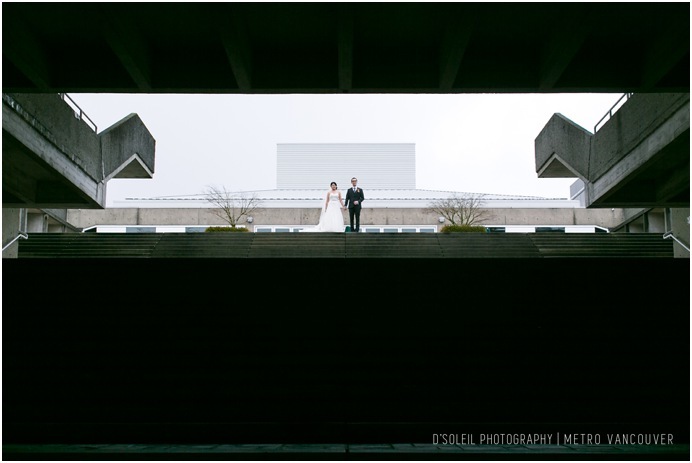 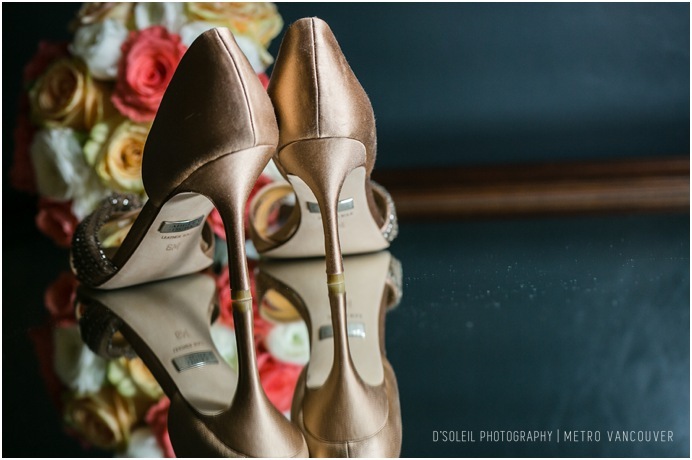 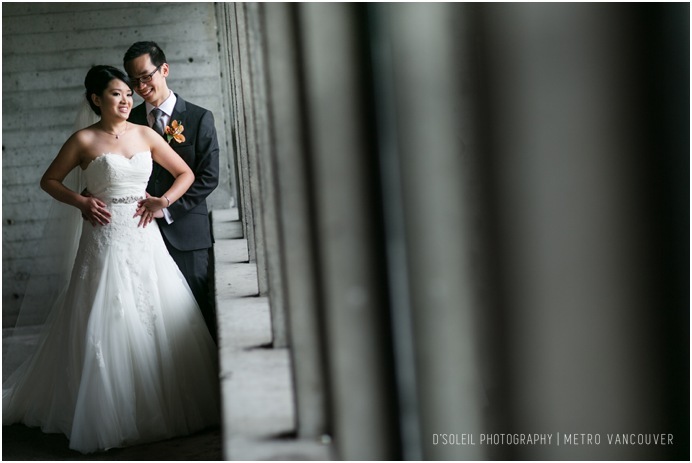 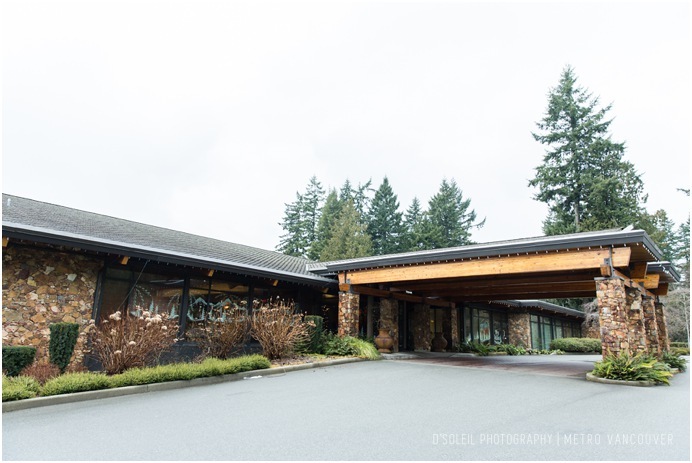 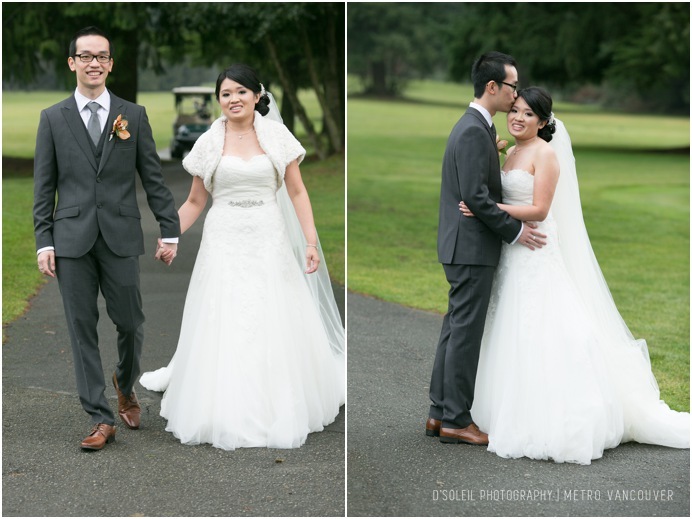 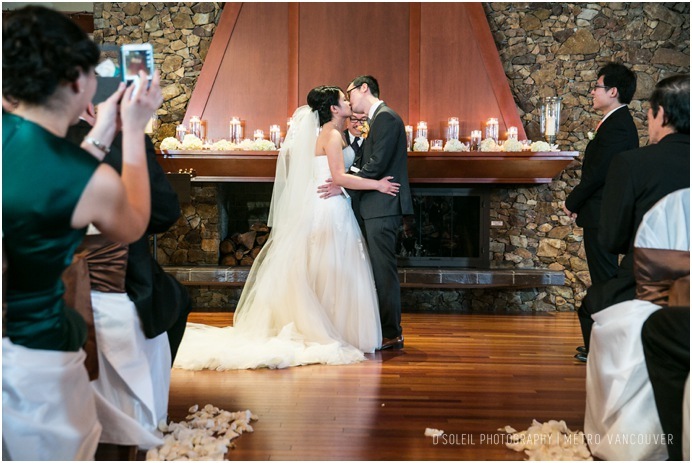 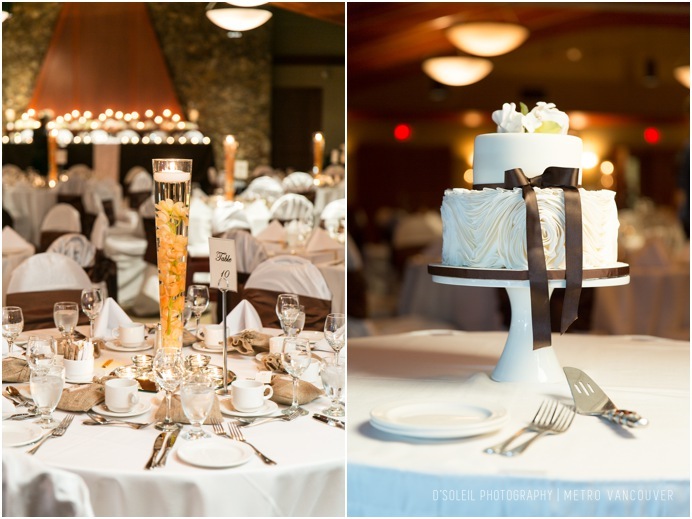 Diana + Andy celebrated their Vancouver Golf Club wedding in post-Christmas December. 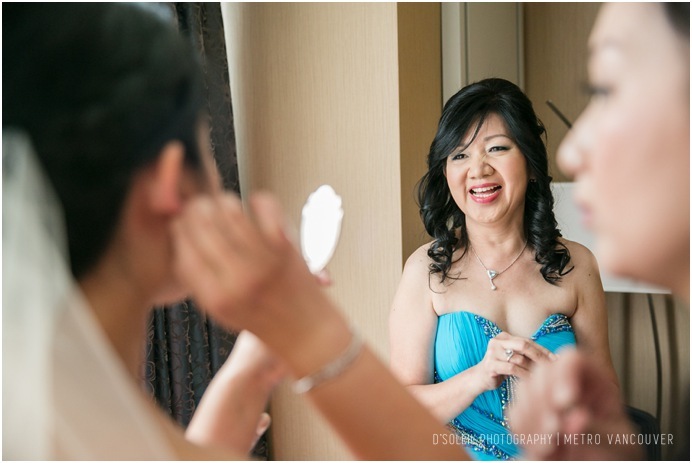 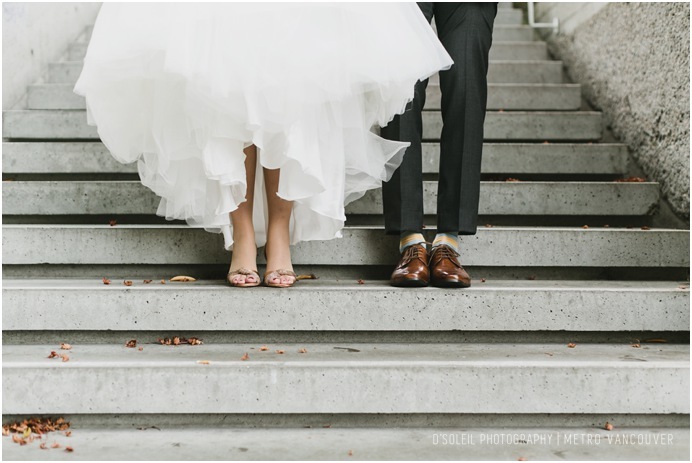 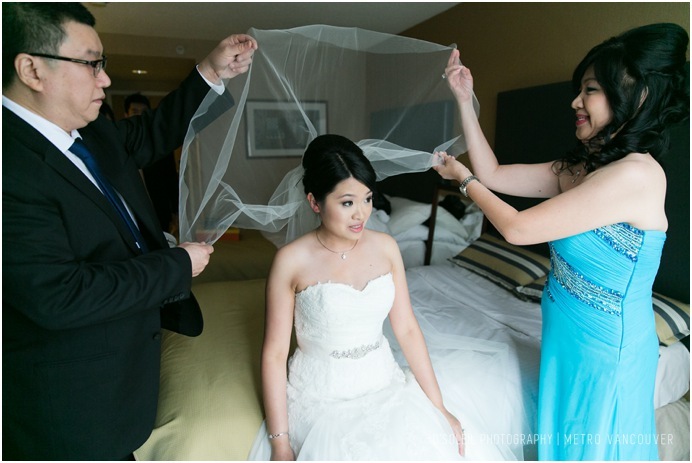 Their day started with getting ready at the Executive Hotel in Coquitlam, where Andy got to see Diana before the wedding ceremony by following a long number of Indonesian wedding day customs, such as seeing her at a specific time and walking backwards toward her for the first look. 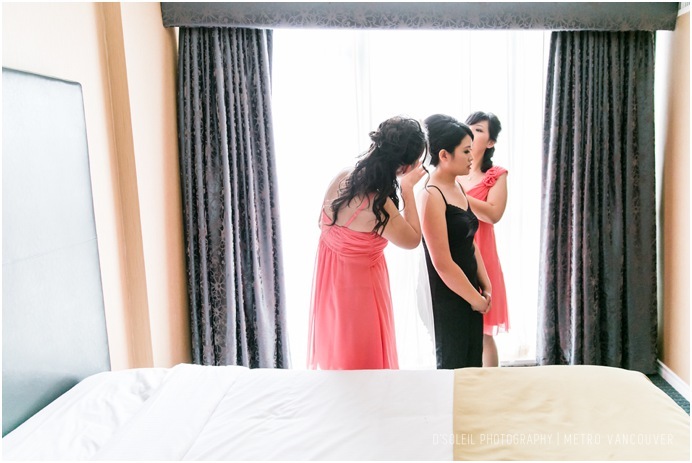 After the first look, we took a number of family photos in the hotel before leaving for wedding party photos at the SFU campus in Burnaby. 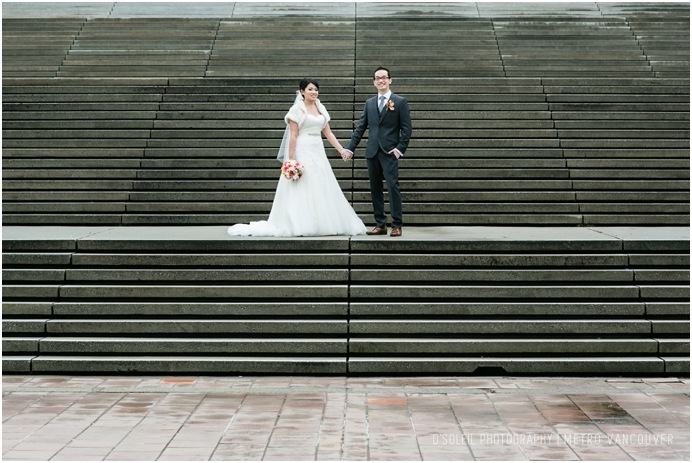 It was a chilly winter day and drizzling outdoors, so we kept things simple and short. 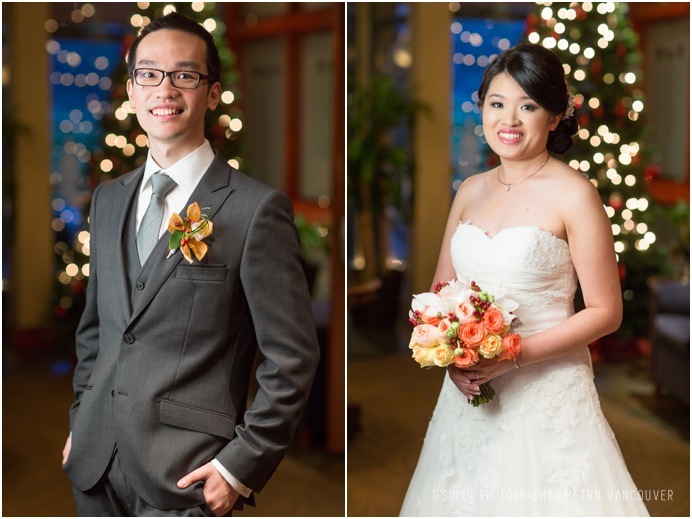 Their wedding ceremony was held indoors at the Vancouver Club along with their dinner reception. 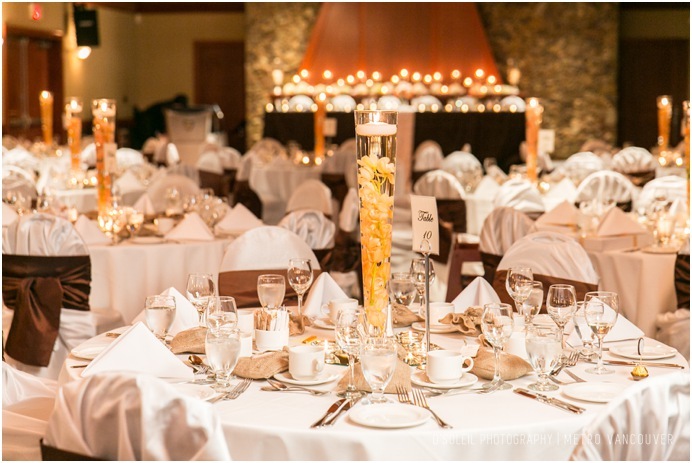 Guests had cocktails in the front lounge while the golf club staff flip the room from ceremony into a warm and beautiful reception ballroom. 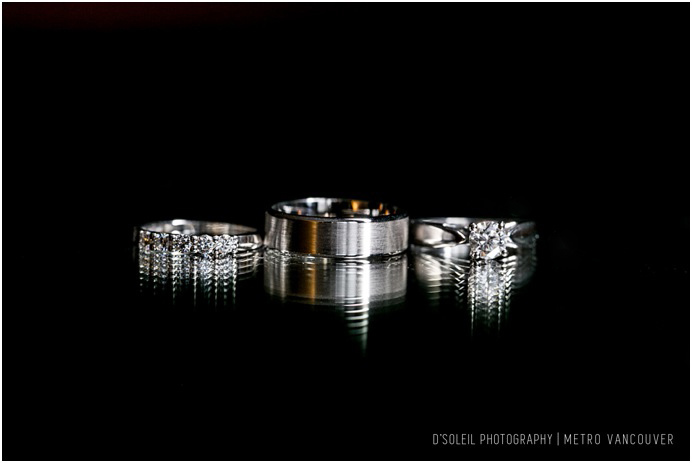 Below are just a few photographs from their wedding day. 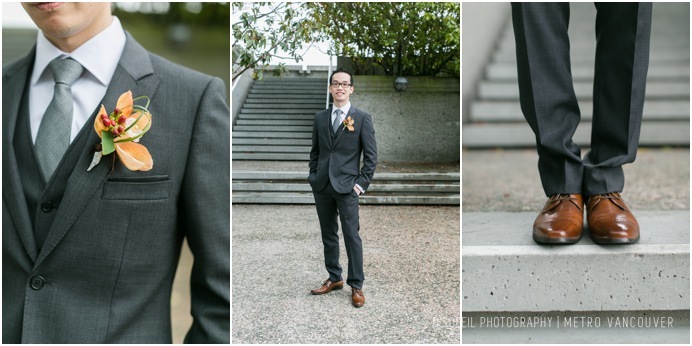 Next Post Actor Headshots And Make-up Session | Victoria Kalitowski + Kim D. Tran Vol 1.